When TV HDR is properly implemented, the contrast between the whitest whites and darkest blacks is accentuated, colours are more realistic and the entire image becomes more vibrant. HDR creates a noticeable difference to everyday viewers - not just videophiles. The mid- to high-end TVs in the 2016 model lines from all the major manufacturers will be HDR-ready. Fox, Warner, Amazon and Netflix are prepping HDR versions of their latest movies and TV shows now. There are two versions of HDR: HDR10 and Dolby Vision. Netflix and Amazon are backing both formats. And LG and Vizio are making their new TVs compatible with both. Just about every HDR TV supports the HDR10 format. That means any TV labeled "HDR" will be able to play back TV shows and movies delivered in HDR10. Unlike new TVs from LG and Vizio, none of the TVs announced in 2016 by Samsung and Sony will support Dolby Vision. And there's no way to add Dolby Vision to a TV via a software update. It requires Dolby's chip. If Dolby Vision-enabled Blu-ray discs do hit the market, they will also support HDR10. That means they'll play on non-Dolby Vision players like the Samsung K8500, as well as TVs that don't support Dolby Vision. That's because the Blu-ray disc Association mandated HDR10 support for 4K Blu-ray players, while Dolby Vision is an optional addition, like object-based sound formats Dolby Atmos and DTS:X.
Netflix will serve both HDR10 and Dolby Vision content, so an owner of a non-Dolby Vision TV will be able to watch Netflix HDR. But the company has been more vocal so far in its support for Dolby Vision, and has been working with Dolby for longer to develop its HDR library. Netflix is now streaming Season 1 of "Marco Polo" in Dolby Vision, and will add "Daredevil" soon. Both formats use many of the same technical underpinnings, including metadata that indicates to the TV how the images should be rendered on the screen. But only Dolby Vision's is dynamic, capable of changing on a scene-by-scene or even frame-by-frame basis. The HDR10 metadata, on the other hand, is static, so it only applies once to each piece of content. 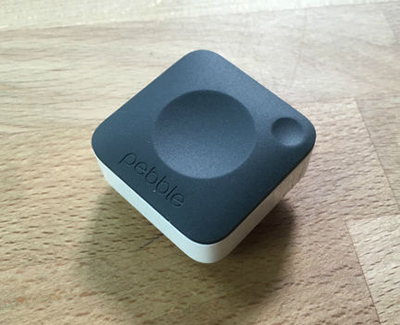 The Pebble 2 is a reinvention of Pebble’s original success. It doesn’t loose the big plastic case, but it does introduce a new black-and-white display now fused with Gorilla Glass instead of plastic, and it’s been made a little more sleek. The big addition is a heart rate sensor, which will take advantage of the fitness software Pebble has been slowly introducing over the past several months. The Pebble Time 2 is all metal and includes a heart rate sensor. The big upgrade for the Time 2 is the screen, providing a 50 percent larger display. The Time 2 lasts for 10 days on a single charge, and both it and the Pebble 2 remain waterproof up to 30 meters. The Pebble Core is an internet-connected 'fob' that you attach to your keychain or put in your pocket. Pebble made this for runners and it can work with other smart watches. With 4GB of storage and 3G connectivity, it lets users stream Spotify playlists to their watch, allowing them to leave your phone at home. 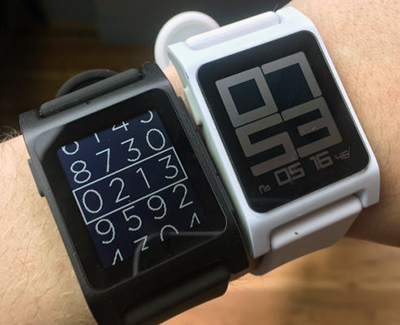 It also supports simple actions with Pebble apps, like summoning an Uber, and Pebble thinks developers will find even more ways to tinker with it. The Core reportedly lasts nine hours running Spotify and GPS and can go for days in low-power mode. It charges with any wireless Qi charger. 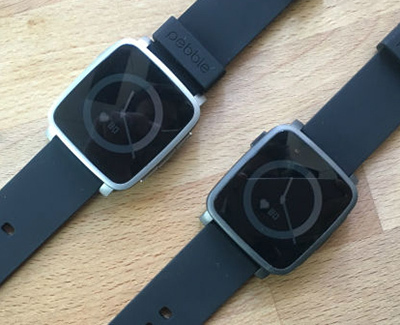 The Pebble 2 and Pebble Time 2 are available on Kickstarter for the early bird special of $100 and $170, respectively. After that, they’ll jump up $30, which will also be their retail price. The Core starts at $70. The Light Rider is an electric motorbike that weighs just 77 pounds and has a frame like an alien skeleton. 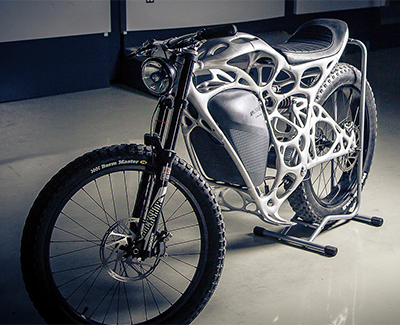 Its creator, Airbus subsidiary APWorks, crafted the bike with 3D printing – but it’s not plastic. The hollow frame is aircraft-grade aluminium and it takes shape via thousands of thin metal layers produced in a bed of metal powder. The frame itself weighs 13 pounds, roughly 30 percent less than most electric bike frames. Its complex shape would be impossible to craft using traditional means such as welding or milling. The Light Rider gets 37 miles per charge. Airbus is currently selling a limited run at $56,095 each. The Google Cultural Institute, an online virtual museum with high-quality digitisations of artifacts from across the globe, recently added more than 1,000 ultra-high-resolution images of classic paintings and other artwork by Monet, Van Gogh and many others. A new robotic camera system Google has developed called 'Art Camera' has made it possible for the organisation to add digitisations faster than before. Art Camera, after being calibrated to the edges of a painting or document by its operator, automatically takes close-up photos of paintings one section at a time, using a laser and sonar to precisely adjust the focus. This process results in hundreds of images that are then sent to Google, where they're stitched together to produce a single gigapixel-resolution photo. Art Camera can complete the process in less than an hour. Google has built 20 Art Cameras and is shipping them to museums around the world for free, enabling the organisations to digitise their artwork and documents. The resulting gigapixel images can be viewed here. 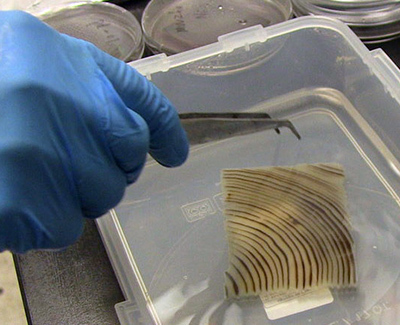 Researchers at the University of Maryland were able pull away colour and chemicals from a block of wood. The result is a material that is both stronger and more insulating than glass, with better biodegradability than plastic. "We were surprised how transparent it could go," said Liangbing Hu, who wrote about the project in Advanced Materials. Hu's team isn't the only group that's developed a technique for transparent wood - Swedish researchers have also been able to clear out the visible pulp, replacing it with a transparent polymer. The treatment techniques appear similar. The researchers first boil the wood in water, sodium hydroxide and other chemicals for roughly two hours. This flushes out lignin, the molecule responsible for giving wood its colour. The team then pours epoxy over the block which makes the wood four to five times stronger. The MacBook can only do 4K resolution at 30Hz, but the ability to connect it to a USB-C-enabled display like LG’s 27UD88-W 4K monitor is a nice option. Not only will a single cable provide the bandwidth to drive an external display, but it will also charge the MacBook and allow it to interface with devices connected to the display’s ports. The MacBook can take advantage of external battery packs, and draw upon power via a USB-C connection. With Final Cut Pro X, it’s easy to export videos, even Ultra High Definition 4K videos, without breaking much of a sweat. It’s so light and thin that I can hold the machine in one hand while typing with my other hand. 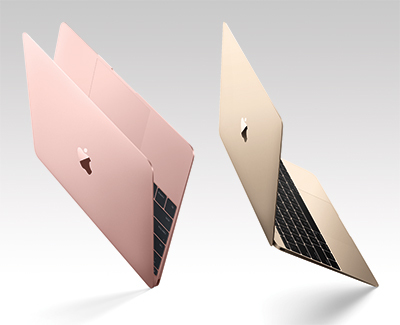 The MacBook arguably has the best build quality of any of Apple’s laptops. The hinge, for instance, eschews the black plastic found on other MacBook models. The aluminum feels dense, strong and ready to stand up to everyday usage. The speakers are loud and clear, and deliver sound quality that might cause you to do a double-take upon first listen. There’s nothing that I threw at this machine that it wasn’t capable of handling, and not just barely, but it did so admirably. Editing videos and photos on the MacBook is no problem when it comes to color accuracy and uniformity across the entire screen. Apple says that the battery will last for 10 hours browsing the web. The new version looks almost exactly the same as the original, but it offers swappable batteries (including longer-range options), a better Bluetooth connection with the remote, and a water-resistant build. The extended-range battery weighs about 350 grams (or about three-quarters of a pound) more than the standard version, and is about 8mm thicker. The wheels are also a little bigger this time around, measuring 80mm versus 75mm. 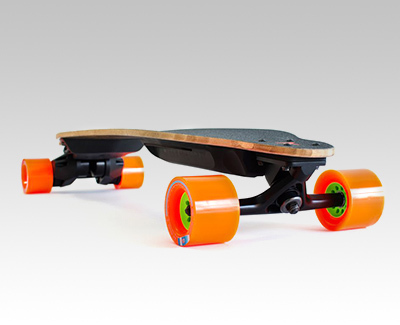 But Dastoor says the new boards have lighter drivetrains which should keep them from weighing much more than their predecessors. The only other cosmetic change is the addition of two power ports, meaning customers will have to do less work if they want to rig up things like on-board lights. There are now two Bluetooth radios in the board — the previous versions only had one, which meant you could only connect one device (your phone or the remote) to the board at a time. Building in two radios takes away the need to constantly disconnect and connect those devices, and also opens up opportunities for things like ride-tracking using your phone or live telemetry on something like an Apple Watch. The Single (one electric motor) will cost $999, the Dual (two motors) $1,299, and the Dual+ (two more powerful motors) $1,499. Physically, the Home is a small cylinder with a modular case that you can customise with different base shells to match your decor. It will also have LED lights to let you know it's working. 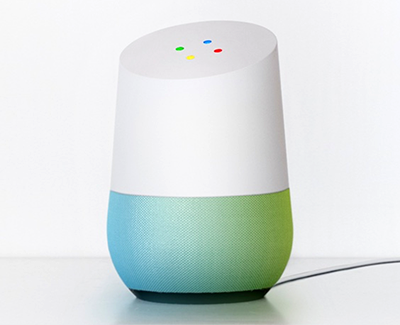 It boasts a powerful speaker, one of the main uses Google is foreseeing is listening to music. Google Home is designed with multiple rooms and speakers in mind. And you can talk to any speaker and tell it to play music on other speakers. It will work with Google Play Music, but it should also be able to handle any other service that supports Google Cast. Compatibility with Cast means it can talk to the Chromecast plugged into your TV. Unfortunately, the Home won't support multiple Google accounts at launch, but the company says that will come in time. It will let you ask Google questions, with responses optimised for audio and it will to work with a set of home automation devices — including thermostats and lights. It's coming out later this year for an unspecified price. HP's new machine prints black nylon at “340 million 3D pixels or voxels per second” by laying down a layer of nylon powder, colouring it using HP’s inkjet-like technology, and then fusing it. 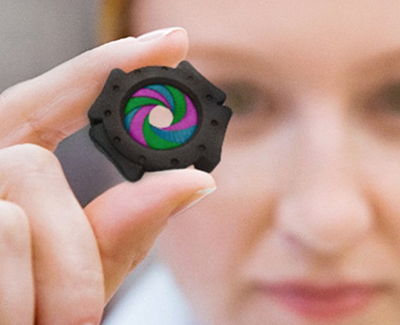 It produces items 25% faster than its competitors in a wider array of colours. 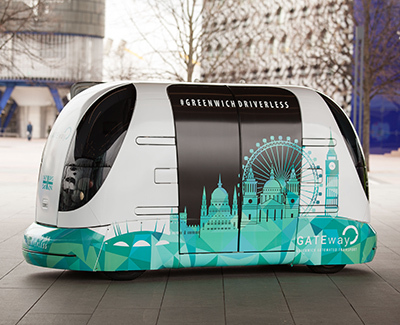 If you're in the UK, you can register with the Gateway (Greenwich Automated Transport Environment) project and take a ride around London's Greenwich area in a totally automated self-driving electric shuttle. You'll then be invited to share your thoughts on the experience. You can also take part in workshops to discuss the future of automated transport. "The move to automated vehicles is probably the most significant change in transport since the transition from horse-drawn carriages to motorised vehicles," said professor Nick Reed, director at the UK's Transport Research Laboratory and technical lead of the Gateway project. "Testing these vehicles in a living environment, like the UK Smart Mobility Living Lab, takes the concept from fiction to reality." The Gateway trial is part of an £8 million project to research driverless cars, and is one of three tests taking place in the Greenwich area. It hasn't yet been confirmed whether the autonomous electric shuttles will venture onto public roads, but the experiment will see them mix with pedestrians and cyclists. Each vehicle will first be driven around the area by a human to map the route in 3D. The pod will then be able to find its way round using built-in lasers, sensors and cameras that check where the car is against the 3D map, while detecting obstacles, hazards and pedestrians. 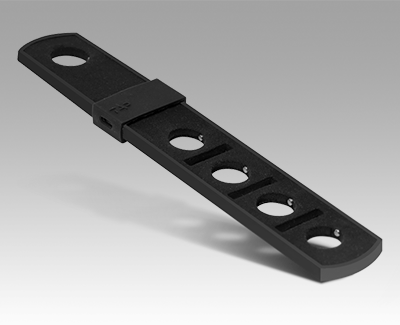 The Tap Strap has a series of embedded sensors which monitor mechanical information of the hand and fingers. This information is processed by an MCU in the Strap, which decodes the raw data into finger tap combinations and transmits the resulting characters or commands via a Bluetooth radio. It can be worn on either hand or on both hands simultaneously for two-handed tapping. With each tap, the Tap Strap sends a character or command to a device based on which fingers touched the surface. Tap is compatible with all Bluetooth enabled devices which support the HID Keyboard Standard. This includes iOS and Android phones and tablets, Windows and Mac computers, and most Smart TVs. Users can learn to tap in about one hour using the TapGenius App, a mnemonic-based learning system which combines musical and visual tutorials with a game. Tap also provides a solution for blind and low vision users. 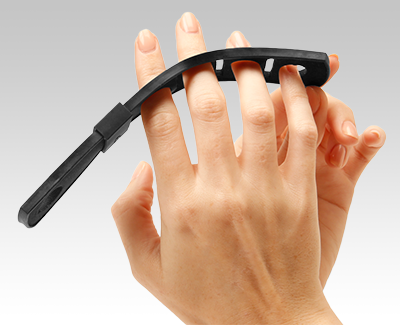 Tapping can be done with fingers touching anything – without the need for on-screen keyboards. Tap is expected to ship commercially before the end of 2016. Thanks to Conrad for the link. 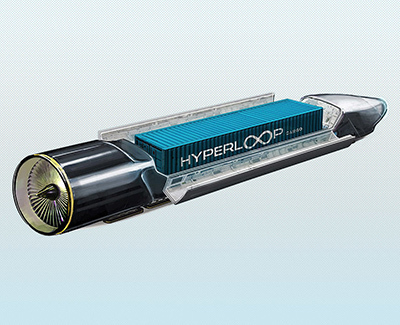 The Hyperloop — a magnetic levitation transportation system promises to make it possible for people or cargo to travel at 750 miles an hour in comfortable pods between San Francisco and Los Angeles in as little as 30 minutes. Hyperloop One, has announced an $80 million round of financing, as well as a series of partnerships with global leaders in industries like transportation, engineering, architecture, passenger/freight economics and tunnelling. On Wednesday, the company held the first live test of its version of the ultra-fast transportation system at a site in Nevada. It worked, although it didn't go very far. 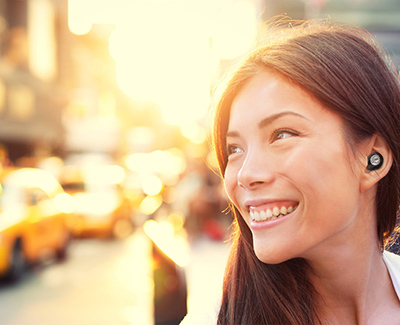 IQbuds are Bluetooth headsets for your phone. They have active noise cancelling, and the same technology can be used to give your hearing a boost, or focus on voices in noisy environments. Nuheara claims they allow you to blend music and the sounds around you. The touch-controlled IQbuds have a four-hour battery life and charging case. IQbuds will also let you tweak the sound around you by adding more bass and/or cutting high frequencies. IQbuds also let you change ambient sound for each ear. For someone with high frequency loss of hearing on one side, or similar, it's potentially very helpful. 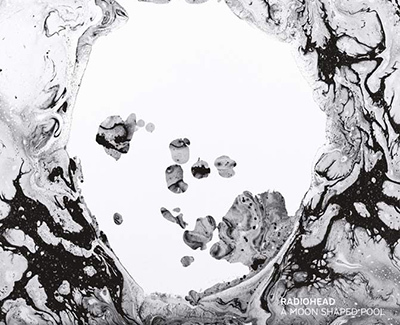 I confess to occasionally being bewildered by Radiohead's appeal. However, I do respect their refusal to take the 'easy path' in their musical journey. Their latest album is now available in various formats from their website. If you fancy a listen before you buy, Tom Robinson previewed the album on his Sunday show, which is available here for a month. 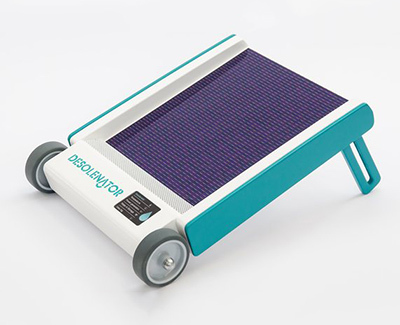 The Desolenator, measuring 120cm by 90cm, is a solar panel that converts sunlight into electricity, and uses heat captured from the sun to supplement the process. Water flows over the panel to bring it to a high temperature. It then flows into a small boiler in the device, powered by the electricity produced from the solar panel, and is converted to steam. The steam is then cooled, and the waste flows out of the machine. Boiling the water gets rid of pollutants such as arsenic and fluoride, and the device can cope with dirty water. It can produce 15 litres of distilled water in a day, enough to sustain a family for cooking and drinking. The first commercial versions are expected to be in operation in India early next year, after field tests are carried out. In the developing world, the price will depend on what deals aid organisations can negotiate. In developed countries, it is likely to cost £685. 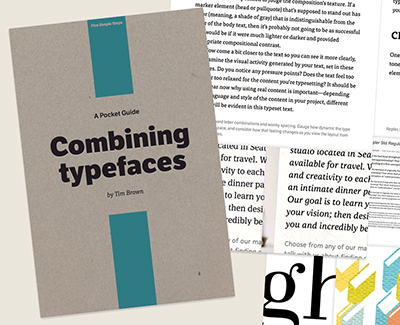 Originally published by Five Simple Steps in 2013, my Pocket Guide to Combining Typefaces has sold thousands of copies, been used in college curricula, and been cited in conference talks by industry-leading designers. Unfortunately, Five Simple Steps closed its doors this month. Because this pocket guide is no longer available for purchase, I’ve decided to make it available for free here on the Typekit blog. Download the PDF and enjoy. Hisense has released a 75-inch 4K HDR TV for a little under £2,500. 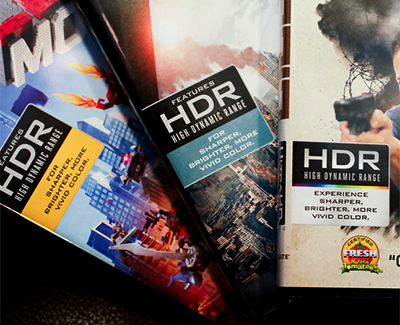 As well as an ultra HD resolution, the high dynamic range (HDR) tech employed ensures that the set matches the recommended standards for 4K Blu-ray playback. HDR effectively offers better colour reproduction and contrast than conventional television technologies. It is employed on 4K Blu-rays and some content from streaming services, such as Netflix and Amazon Video. Both of those latter services are available with 4K and HDR support. 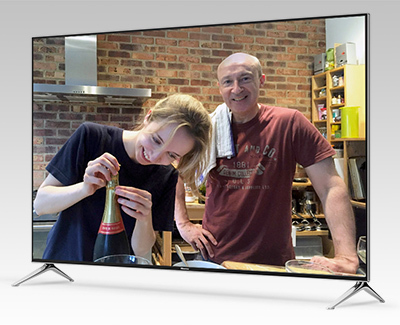 Its quad-core processor also powers other smart TV functions and apps, including BBC iPlayer and the ability to stream and share content to the TV from a smartphone, tablet or computer. Two HDMI 2.0 sockets with HDCP 2.2 are available on the set, with another two for good measure. There are also three USB outputs, with one of them meeting USB 3.0 standards. An optical audio output means you can hook it up to a soundbar or AV receiver.